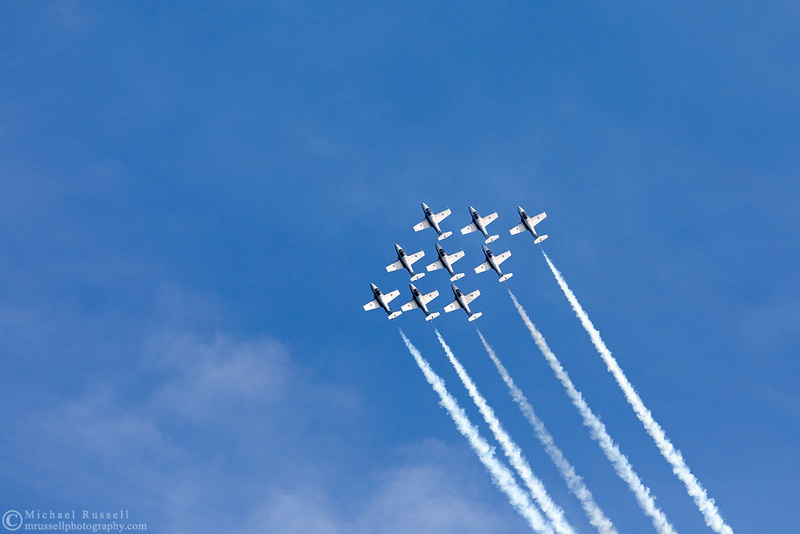 Canadian Forces Snowbirds in a Big Diamond formation with smoke. The Snowbirds are also known as the 431 Air Demonstration Squadron and fly the Canadair CT-114 Tutor jet. Photographed during the Canada 150 celebrations in White Rock, British Columbia, Canada.